the new charter company JetSuite (based here in Long Beach), my interest was piqued. While I can’t imagine this ever being something I’d use, I can see the value in it for sure. There have been plenty of different models used for private jet chartering. There’s fractional jet ownership where you actually own a piece of the plane, and there’s the pay-by-the-hour model as well. With Marquis Jet, for example, you pay $132,900 plus tax for a card worth 25 hours of flying. Yeah, that number makes me cry a little as well. In other words, you’re paying between $5,000 and $6,000 an hour. Formerly of JetBlue, Alex Wilcox is the man behind JetSuite (conveniently similar naming convention), and I sat down to chat with him about the company in his Long Beach office. Alex explained that the hourly rate method wasn’t really the best way to charge. For example, if you fly on a 6 hour flight on Marquis Jet, you’ll pay the same as if you had 6 one hour flights on different days. The costs are a lot higher for the separate flights than for the single flight, so JetSuite has opted for this new pricing model. On JetSuite, you buy a DayCard which costs $35,000 for 10 days or $75,000 for 25 days. Let’s say you’re too cheap so you just buy the 10 day card (um, yeah). That’ll cost you $3,500 per day and you can fly for 12 hours during the day. In addition, you pay $999 per hour of flying to pay for the variable costs of flying. So, a 6 hour flight on a single day would cost $9,500 on JetSuite and over $30,000 on Marquis Jet. That being said, if you needed six one hour flights on separate days, you’d pay $4,500 per flight on JetSuite and $5,500 on Marquis Jet. So the real benefit with JetSuite comes if you do more flying during the day. 100 is a sweet ride with 4 or 5 seats in the back. It’s not something you’re going to see a Saudi prince riding in – the comfort is basic, but the operating costs make it a good airplane for the business. According to Alex, it only takes about 2 hours of flying per day for them to break even. After all this talk, I was ready to see the airplane. They were launching sales officially that day, so they were flying the airplane from Long Beach down to Orange County for the launch event. Alex had business down in Orange County so he had to drive. I was invited to fly. Sweet, er, suite. We walked downstairs to the airplane and boarded. There were four white leather seats that face each other – two forward, two backward. The airplane is small, and there isn’t a ton of legroom if the person across from you has long legs, but it’s still quite comfortable. I was surprised at how relatively quiet the ride was. I figured we’d be so close to the engines that we wouldn’t be able to hear a thing, but that wasn’t the case. Embraer has made a nice little airplane here. Of course, I didn’t get to experience much of a ride. Our flight took about 15 minutes, and since Orange County was uncharacteristically landing to the north, we had a straight shot in after heading over the ocean. go to New York, but it can have a lot of other good uses. After getting down to Orange County and having lunch with the group (FTC disclosure: they bought my $5 lunch for me), I realized that I had to get back home. I figured, hey, there’s no better juxtaposition than to fly a corporate jet down and take public transit back. I pulled out my BlackBerry and Google Maps gave me the best transit options. I love Google Maps. The ride down took 15 minutes. The ride back took 2.5 hours on 3 different buses on two different transit companies. But remember, that flight down would have cost me, over $1,500 while the bus ride back? Only $4.10. I suppose there can be good value for both. I hope there were people around who say you get off so you could act like a celeb or at least your average rich guy jetting into SNA. You were wearing sunglasses right? Don’t you mean SNA airport (not SFO) for the destination? Oops, that’s what happens when you cut and paste. Fixed. So where is the trip report on the way back? Or will that be on CrankyBusser? Also I think it’s the FTC not the FCC you’re worrying about disclosing your lunch to. > Alex had business down in Orange County so he had to drive. How many jets do they have? Can’t say I’ve followed the micro jet biz but I remember reading multiple companies ordering a bizillion mosquito jets to run air taxies, “shift the travel paradigm” and so on, only to go spectacularly bust. How is this one different? Enjoyed your report, as I’ll probably, make that, sure, not get to fly in one of those things. You talked about “a 6 hour flight with JetSuite…” but then said that the Embraer Phenoms don’t have the range to do coast to coast. Are there different aircraft types available? If not, that was some pretty misleading advertising. Oh, and further investigation finds that the Marquis Jet card price of $132,000 is just for the Citation Ultra, which doesn’t have the range for six hours of flying either. It was nice of them to give you a free ride, but it’s by no means going to be a market mover/shaker. It’s my no means the best deal on the market either. Just to clarify, we’ve chartered with Jetsuite. Their pricing for charter is definitely lower than any other operator out there and it’s even cheaper when you buy into their membership program. I’ve never seen a flight from them for $4500/hour. Not sure where you got that from. Marquis is such a rip off. It is an insult to have the pricing that they have in this economy. I have a feeling their pricing will have to drop eventually in order to compete with the charter world and JetSuite. That plane doesn’t go 6 hours, so don’t worry. Crank, for fun comparison, what would a helicopter ride have cost? Well, the bus trip report is pretty basic. I walked .3 miles to the corner of Birch and Bristol and took the OCTA 57 bus to the Newport Transit Center. I waited there for about 10 minutes before hopping on OCTA 1 which goes up PCH toward Long Beach. I got off at 1st and PCH right at the Long Beach border and hopped on the Long Beach Transit 131 bus which dropped me off right at the JetSuite office at Spring and Temple. Pretty good, all in all. Well, the drive in no traffic (and there would have been no traffic) at that time is about 25 minutes, so I’d say he made the right choice! They only have a couple jets right now, but they’re taking delivery of one every couple of months. I think they have 7 on order, but don’t quote me on that. Great question, and I’m not a pro on this so I don’t really have the answer. This is one of those areas where there seem to be a million ideas and very few work. This one seems to make sense, but then again, I’m not the target market. No, they only have the Phenom 100, so you’re right, you can’t do 6 hours nonstop. But you can stop for 20 minutes, refuel and be in the air again. So you could easily fly 6 hours during the day. If you’re going to NYC, it would be worth it, but if you had to go to, say, somewhere in West Virginia, it might be quicker even with the stops. Yes, Marquis Jet only uses NetJets, but I figured it wasn’t worth bringing up that level of detail in my post. It’s confusing enough to me as it is. I think they realize that if you’re just flying for a single hour, they aren’t going to be the best option in the market. This is more for someone who needs to make a two or three stops during a single day, and that’s where they can provide the best value, or so they say. I’m not really sure if this will work since this is far from my area of expertise. If anyone else has opinions about this piece of the world, then please chime in. There actually is a lav. You can’t see it very well on here, but behind the seats, there is a lav that is covered only by a curtain. On our flight, there was a bunch of stuff back there being stored for the launch event. By next year, they’re expecting that seat to also be certified as a passenger seat. So think about it – you could pay for a private jet and end up riding on the lav. For the flight from Long Beach to Orange County? Beats the heck out of me. I’m sure none of this is cost effective. Most micro-jet firms have already folded, both the manufacturers and operators. these new firms, are simply much more target in their markets and not SCALING up anywhere near as much as in the past. They are going to WAIT and become profitable and then grow hopefully. Problem with most small jets is, NO TOILET! Ouch, don’t have the coffee before take-off. We charter a number of private jets and have a few mishaps on the loger flights when the jet does not have a toilet, but so many people are looking to save money these days that its not out with the kitchen sink but the toilet and now even the co-pilot! you could fit in an extra passenger on the Lav to spread the costs and just swap around when someone needs to go..
Look at that thing it’s tiny!! This pricing structure might work if this aircraft was suitable for several hours of flying in one day. Unfortunately depending on winds and weather it would take 3 stops to get to the east coast and maybe even 4 on the way back. This plane is best suited for short hops to vegas, not long days of flying. For short hops why not just charter a small citation jet that accommodates more passengers, has wider seats, more leg room and is significantly less than what JetSuite is charging? Don’t let the fancy fractional concept of a “daycard” fool you…this is not a good deal. By the way do you have any pictures of the Lav? I’m curious to see how comfy that is? You clearly do not fly privately. The inside of the Phenom is much bigger than that of the Lears, the cheapest “light jet” to charter on the market. The Citation’s price is at $5000/hour (double the cost of the Pheenom and not including all the other “blind” costs they don’t include in your quote) and the seats are not “wider” on the Citation by any means. I charter all the time for my boss and JetSuite’s model, in comparison to Marquis/NetJets/Sentient/Clay Lacy is definitely the most cost-effective for shorter hauls and makes the most sense for shorter business trips. 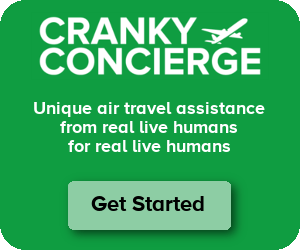 It’s about time a company came up with an alternative for private flying and I have a feeling they will be in business for a long time. Actually, the going charter rate for a Citation that is the same size as the Phenom, in the Los Angeles area, is $1900 per hour. For a larger Citation such as a Citation V or Encore with the range of 1800 NM, the going charter rate is $2400 per hour. The seats and cabin size are significantly larger in a Citation V and Citation Encore, with a fully enclosed, private lavatory. Think 7 seats with the ability to swivel and recline, rather than the Phenom’s 4 or 5 seat offering. Which charter companies are chartering Citations for $1900 and the V for $2400/hour? I would really like to know. I have never encountered a quote that low and we’ve flown with everyone. I know the going rate with Marquis on a Citation V Ultra was $5000/hr. The cheapest quote we’ve ever received was from Clay for $2000 on a rinky dink Lear 35. Please let me know who you are using. Thank you. I own a charter company, Desert Jet. I can tell you that the operators Paragon Airways, Global Exec Aviation, Komar Aviation Group and my company all offer Citations in the price ranges I’ve quoted. These operators are all based in the LA/OC areas and Desert Jet is in Palm Springs. Desert Jet does not add fuel surcharges; I’m not sure about the other companies I’ve listed. The Citation V and Encore cabins are significantly larger than the Phenom. Just two weeks ago we had an former Jetsuite client fly with us on our Encore. His comments were that he loved the Encore because of the larger cabin size and the ability for the cabin seats to swivel, track and fully recline. He had a four hour flight on the Phenom that needed a fuel stop while our Encore did the flight nonstop. His comments were that our seats on a four hour flight were more comfortable than two hours at a time in the Phenom seat. Of course the Citation V and Encore have an enclosed private lavatory as well as XM radio, satellite phone and other nice amenities. I think these days travelers are shying away from any travel program that requires them to place deposits or make commitments. With on-demand charter, you simply pay as you fly with no commitments. Plus, you’ll likely always have the same flight crew and fly on the same aircraft. Peace of mind when it comes to safety is very important. I hope that helped answer your questions kb. According to their website, the Phenom 100s have greater cabin width AND height than the Citation Bravo & Encore, Learjet 31A & 35A, CJ3 and Hawker 400XP. I don’t know why they would say this if it was not the case. The jet is so sharp looking, but I have not seen the inside (aside from their youtube vids to confirm how roomy it is). I definitely would not recommend a long trip with this jet and I don’t think the company really targets those itineraries anyway. With their new ridiculous $999 promos to Vegas and $1499 to the Bay, it is pretty unbeatable. That’s my opinion! Does the $2400 include fuel and tax? Deadhead cost? Typically with charter, if we stay for a couple days, we incur the deadhead cost so technically you have to take the per hour rate and times it by two, which makes it close to $5000/hour (as I originally suggested) not including fuel and tax. Phenom price through JetSuite still wins. We’ve flown in a V and it is virtually the same size as Phenom, with the same size seats. Phenom has a private lav as well. Sorry, no pics of the lav. They had a bunch of stuff stored back there since this was a launch event in Orange County. So I didn’t get back there. Looks like there were more people on your jet than on your bus! America loves it’s public transit! Nice jet, but what an ugly paint job. Are there really charter flights with no lavs? You’ve got to be kidding….